Pies, pies and more pies! Our family holiday celebrations simply are not complete without pie. I have learned over the years to roll out the dough, mix up the perfect ingredients and cook some of the most amazing passed-down family recipes. This past weekend, I brilliantly decided to make “mini” pies. Sounded easy and fun at the time. I rolled out the dough, cut it in small round circles and poured in the famous pumpkin pie recipe. As they cooked, the house began to smell wonderful! When the timer went off, I quickly took them out. “Wow, I should have a show on the cooking network,” I thought to myself. When they were cool and ready for serving, I decided to pop one in my mouth. It did not take long to discover that something was VERY wrong. I had forgotten to put sugar in the pies. The pies smelled good, they looked good but they tasted AWFUL! All desserts need sugar. To eat a dessert that is not sweet simply defeats the point of eating a dessert. Just like you can’t have dessert without sugar, you can’t have Christmas without love. The whole purpose of Christmas is love. Christmas began with love from an amazing God. It continued as His son came to the earth as a baby. God very clearly states to us that He came because He loves us, because He IS love. That love for us is an invitation to relationship with Him, an invitation to know Him. As we get to know Him, something crazy happens, and we begin to love people more authentically. We begin to love the unlovable. We begin to love the difficult. We begin to love those that do not love us. Crazy right? Loving our favorite people is so easy. Loving those who are impossible at times, is possible because of Christmas. I am sure you have heard it said, “Love came down at Christmas time.” Unfathomable love became possible because a baby was born in a manger. Let God transform your season by knowing Him and loving those around you. Merry Christmas from the contributors at Sow & Gather. Do you know God? I John 4:7-8 gives you a great evaluation tool? Has the love of God driven you to loving people? Use this Christmas season to know God and then love unlovable people. Dear Jesus, thank You for Your love. Help me to know You more and more. Transform my thinking so that I will see people as You do. Jesus, help me to love through You this season. Amen. 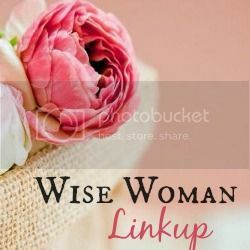 This post is part of the Wise Woman Linkup. How Do We Embrace Moments of Joy During Advent? Christmas looms in the near future. Decorations have filled our homes with wonder. Festivities have dominated our schedules. Preparations for the “big day” are being made as grocery lists are prepared and schedules are coordinated. Gifts have been mostly purchased. WE ARE ALMOST READY TO DO THIS THING! But are we really? As we have celebrated advent these past few weeks, we have tasted peace, hope and joy. This week we have gotten a glimpse of the amazing love of Jesus. So here we sit needing to understand and grasp this indescribable love. My dear friends, this is your time, your time to rest in the presence of love. Jesus draws us to HIM in this very moment. Using the verse above as our guide, let’s bow our hearts before Jesus and get prepared for the celebration of love. I bow my knees before you. While I am not on my knees physically, my heart is bowed humbly before you because I know the greatness and power in your name. I pray that you will continue to strengthen my faith. Jesus dwell in my heart. I ask you Jesus to ground me in your love. As I approach this holiday season, plant my roots so deeply in your love, so that I am able to care for all that are in my presence. Jesus, help me to comprehend your love. Oh my precious Jesus, I celebrate the fact that you came down to earth and died for my sins. I celebrate your love. Your love is so expansive; help me to understand how far-reaching it truly is. Oh, most importantly Jesus, help me to be filled up with the fullness of God this Christmas season. God, allow Christmas 2015, to be the most full of all seasons. Reign in my heart. Reign in my family. Amen. I beseech you to take the time to draw near to Jesus today and celebrate the love that He brings. Make a plan to carve out some time to sit in Jesus’ presence. As I reflect on the last 14 days, I am literally amazed my family lived through our schedule. Oh the joyful, crazy holidays! As I wrap up all of the activities and events, I am preparing my heart, home, and pocket book for many family celebrations. For our family, the holiday brings in our most favorite people of all, our family. I love to be in the presence of those I love so dearly. “In the presence of those I love” is a sentiment reflected in the Christmas story as well. God in His miraculous power, sovereignty, and wisdom had a plan to come into the presence of people on earth. He sent part of Himself, His son, to the earth to (as Zephaniah says) be “in our midst.” The Old Testament gives Jesus the name, Immanuel, which means in Hebrew, God with us. Because of God’s incredible love for us, He came into our midst. This love which is beyond our understanding. This love that reaches so far and so wide that we can never reach its end. THIS LOVE brought Him to our midst. My dear sweet friends, For God so loved you and me that that He sent His Son, wrapped in clothes, lying in a manger. He is Immanuel! God is in our midst and He desires to quiet you with His love. Literally force yourself to sit down for a moment. 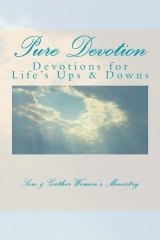 Ask God to quiet your body, mind, and soul with His unbelievable, gracious love. Dear Jesus, thank you for your love. Thank you that you had this plan to come into our midst. Jesus, please quiet my soul today so that I can experience your peace. Please quiet my body so that I can rest. Lord, quiet my mind to be fully committed to thinking your thoughts. Amen. "The holidays made easy." "Press the easy button." All phrases I keep seeing from the grocery store to the office supply store. Each of us would like less stress. I think the world is selling us a concept of less stress by making us think an "easy" life equals a stress-free life. In this fast-paced, often challenging world we live in, we've decided easy equals less-stress and hard equals more-stress. I don't believe it. I've had times in my life where I'm cruising along with my job and home life and not under deadlines. Times when I should have it all together - when life was easy - and I was miserable. Compare that to days, weeks, months I'm under constant deadlines, traveling like a crazy woman, and my house is a wreck -- I'm content and sleeping easy. I think of Mary and Martha - two sisters that were friends with and followers of Jesus Christ. These two sisters come alive for me in the pages of the Bible when we see how they cope with the death of their brother Lazarus. Lazarus had been dead for four days and his body was prepared for burial. At last, Jesus arrives and Martha runs to him. Martha's statement is not one of accusation, but simply of the facts. She knew Jesus could have prevented the death. She also knew Jesus could bring Lazarus back. Even more important, she accepted that what happened next had to be a part of God's will. In the grief, stress, and hardship of death, Martha found her "easy" button. Jesus never promised Martha (or us) an easy life. Jesus has promised us a joy-filled life if we trust him. Martha accepted that Christ was with her in the situation. That acceptance is what brings us a joy. When I present my prayers to the Lord humbly, with thanksgiving for all that God has provided, I receive a peace and joy that surpasses any "easy" button I might try to use. Life is hard. Jesus makes a hard life easy bestowing his followers with never ending joy. We just need to accept the joy each day. Write down one thing that is hard for you today. Then write out a prayer of thanksgiving and joy presenting your request for resolution to the Lord. Dear Heavenly Father, life is hard. There are so many distractions pulling us away from you and from gratitude. Lord, you promise your followers joy if they follow your commands. May I follow your commands today. May I count my many blessings. May I live in today but, also, yearn for your return. Amen. Jonah and joy are not two words that typically go together when we recall the story of Jonah being swallowed by a whale. Yet God keeps pressing on my heart that joy is the foundation of this four-chapter book found in the Old Testament of the Bible. I went back and dug deeper and asked God, "Show me the joy?" In case you are not familiar with Jonah, his job was to proclaim God's truth at God's direction. Jonah didn't like the message God asked him to deliver. Jonah decided to hop a ship and sail to a city more than 2000 miles in the opposite direction of where God told him to go. I love Jonah's honesty. He actually tells the sailors he's running away from God. Jonah then promptly falls asleep like a baby in the hull of the ship. While Jonah is snoozing, an amazing storm threatens to sink the ship and crew. The sailors wake Jonah and demand an accounting of just how bad Jonah ticked-off God. Jonah realizes God brought the storm and that it would only subside if he was tossed into the raging sea. The sailors didn't want to kill Jonah. They fought hard to get to shore. Only after pleading with God not to punish them did they agree to toss Jonah overboard. As Jonah sinks deeper and deeper into the depths of the sea, the sailors also begin to sink -- to their knees. The sea becomes calm when Jonah and the sailors are obedient to God's direction. The sailors, who did not worship God when the ship launched, greatly feared the Lord, offered sacrifices to the Lord, and made vows to the Lord when the sea calmed. As God reveals himself to the sailors, the joy God promises starts to be revealed to me as well. There was joy in the moment of rescue from physical death. But the true joy was the moment the sailors accepted Jonah's God - - the God that created the land and the sea. There was joy in obedience to God. Jonah and the sailors intentionally disobeyed God because they thought they had a better plan. The sailors thought fighting against the howling winds and waves would save them. Jonah thought running away was the answer. How often do I run from God or fight a battle God has not called me to fight? When I try to do either, I am miserable and exhausted in my disobedience. Only when I give God control and obey Him does joy begin to bubble up from deep within me. Only when I begin to sink down to my knees in praise and submission does the joy spill out. I no longer have to fear or fight disaster by running or rowing the opposite direction. "The king of Israel, the LORD, is in your midst; you shall fear disaster no more." Zephaniah 3:15. As we continue this December preparing our hearts for the celebration of Jesus' birth, consider that abundant joy in Christ can be yours if He is your personal Lord and Savior. You can learn more about Jesus as your Savior at IamSecond. Draw a boat in your journal, on your calendar, or on the napkin that came with your morning coffee. It can be simplistic or ornate. Ask God to forgive you of any disobedience and to help you set sail on His path to joy. Dear Heavenly Father, forgive me for my disobedience. It seems that almost everyday I set about my work on my path without regard for Your will for my life. Lord, I have tasted the sweetness of the joy of obedience. Please bring me back to You each day. Amen. Right now. Right now I am having a moment of unexplained joy. These moments seem so few and far between in my hurried life. I actually couldn’t express how I was feeling at first. The emotion was so different from how I feel most of the time. What triggers these moments of joy? A great workout, a hug from my teenager, or knowing family celebrations are just around the corner? Could it simply be for a few moments today I was content with my lot? I was content with the provisions and boundary lines God provides for me and my family. King David praised God for giving him pleasant boundary lines. In today's world, setting boundaries or being boxed-in seems like a limitation. But, I think King David had it right. God gives us so much. Many times we never even explore the full potential of the boundary that God gives. "Think outside the box," that's what we tell our kids and our co-workers when it comes to problem solving. What if we fully explored all the corners of the box first? How many of us never even go to the edge of what God has provided for us so we can truly say, "The boundary lines have fallen in pleasant places." The boundary lines bring us freedom -- which bring us joy. Freedom means to fully embrace what is within the unique domain God has provided for each one of us. As I set my heart on Advent and the anticipation of Christ's birth, I think of the freedom and joy that came down in a baby over 2000 years ago. I ponder the heart of Mary, the mother of Jesus. I consider the fear, excitement, contentment, and joy she must have experienced all at the same time for nine months. Could Mary have ever imagined the borders of her boundary line much less the borders of Jesus' boundary line? I'm writing this and you are reading this, so it's pretty clear neither one of us was selected to give birth to the Savior of the world or to be the Savior of the world. Just because we weren't called for those missions, doesn't mean our purpose is of any less value. God gives each of us beautiful, joyful, pleasant boundary lines. He hems us in right where we are meant to be today. Seek the joy in your boundary. It's waiting for you. Write down three things for which you are grateful. Praise God for showing you that gratitude is the foundation of joy. Dear Heavenly Father, why do my eyes wander to the grass on the other side of my appointed lot? Show me today how to embrace and explore the fullness of your provision. Amen. This post is part of A Proverbs 31 Wife linkup. May you be filled with joy, always thanking the Father. Colossions 1:11-12. This post is part of the #givemegrace linkup with Lisha Epperson. For most of my life I have sought after peace in various things: self-control, books, shopping, trips, religion, money, education, and people. While all those things by themselves are not wrong, the motive to which I have used them is. Instead of asking my Heavenly Father to pour His peace over me, I seek to find it myself. This may last for a short while, but then I find myself searching again for the next moment of peace or putting my trust in things I believe will bring me peace. I was reminded this Advent season of the peace I have with God through His son Jesus Christ (Romans 5:1). At night, when I lay my head down after a long day, my mind is at peace because I have been justified by faith and have been reconciled to Him by His grace. So why do I try to manufacture peace in my life? The answer is simple. I don’t submit myself daily to the Most High God who will guard my heart and mind through Christ Jesus (Philippians 4:7). I let myself get troubled by the events in my life and allow them to rule my thoughts and actions. I forget that Jesus is my source and supplier of the only kind of peace that will last. Jesus knew we would fight for peace in this world. He knew it would be hard so He told us to not receive the peace from the world, but from Him. We are not to be fearful, anxious, or troubled but to look to Him daily. He tells us that in this world we will have tribulation but we are to have courage because He has overcome the world (John 16:33). I’m tired of trying to fight the battle on my own. The only way I will overcome it is to believe in Him who died for me and who promised to return as the Prince of Peace. This season, wherever you are, I pray that first you will have peace with God through His son, Jesus, and that He may fill you with His love, strength, and peace that sustains. Draw close to Him daily, seek His face, ask for wisdom, and say a prayer of thanks for the gift of salvation. Join us next week as we celebrate the love of Christ! What are you using to find peace? Seek the only true source of peace, Jesus. This post is part of the weekly linkup up with author Susan B. Mead. How many of you have ever traveled to the town of Olivet? I’m sure it has been placed on your list of vacation hot spots. Actually, Olivet, South Dakota is the county seat of Hutchinson County and is a small farming community about 60 miles west of Sioux Falls. It is the town where my father was born and raised. Because my relatives dwelled and worked in this community - population 74 - this was our Summer vacation spot. For my family it is our home and the place of our heritage. Can you believe the town where Jesus was to be born was known hundreds of years earlier? And accordingly, Jesus would be our shepherd, strong in the LORD, majestic, great and our peace. Jesus will be our peace!!! Jesus came to bring me calmness, quietness, and restfulness among the clamor and disturbance of the world and in my life. Even my own mind at times is chaotic and is swimming with activity. I cannot seem to quiet the racing thoughts and abide in peace. But when I choose to abide in Him, his peace rolls over me like a flood and my mind rests. I experience Jesus. I experience . . . peace. Therefore, join with me in singing the second stanza of a traditional Christmas hymn, O Little Town of Bethlehem. Sing your favorite Christmas Carols today. Jesus, child of Bethlehem, You are my peace. I want to relish in your peace this advent season. Help me to dwell in you every day and be aware of the peace you can only bring. Amen. This post is part of the weekly R-n-R linkup. As we prepare our hearts for the second week of Advent, we will reflect on peace that only God can bestow through Jesus Christ our Lord. Isaiah prophesied that a child would be born, that the government would rest on His shoulders, and He would be called Prince of Peace. This prophecy was fulfilled for God’s Word says, Today in the city of David there has been born for you a Savior, who is Christ the Lord. Luke 2:11. The Messiah did not come as a warrior or powerful figure, but as a child, and lived His life as the perfect example of peace. This time of year we join together to sing songs of “peace on earth, good will to men,” yet struggle with the reality of political unrest, war, and terrorism in our world. Many unsettling events have recently happened that make us pause and question, will there ever be peace? Even though the troubles of this world seem endless, we can be certain that when we put our faith in Jesus Christ, He will lead us through them. It is in this season that we are reminded that peace can only come from Jesus Christ. He is our supplier and our eternal hope. One day when He returns, He will restore peace everlasting as our Prince of Peace. Revelation 21:3-4 says, Behold, the tabernacle of God is among men, and He will dwell among them, and they shall be His people, and God Himself will be among them, and He will wipe away every tear from their eyes; and there will no longer be any death; there will no longer be any mourning or crying, or pain. This is the peace our hearts long for, what we are waiting for. God is who He says He is, and will do what He says He will do. We may not live in a world filled with peace now, but one day we will. God is with us yesterday, today, and tomorrow. As we pray for peace in our world and in our nation, pray for God’s name to be glorified and for those who do not have the peace of Jesus, to be drawn to Him, Mighty God and Prince of Peace. May you find peace in Jesus this season! Are you living in a state of fear? Have you asked your Heavenly Father to fill you with peace that only He can give? We are part of the What Joy Is Mine Linkup today. We stood in my parent's home looking at the huge box topped with a bow. At twenty months old, my firstborn child gazed at the gift with twinkling eyes of hope. Armed with the understanding that something good was underneath that paper, he grasped firmly to the first strip and pulled with all his little might. As the wrapping peeled away, the mystery of a yellow ride-in car was revealed. An unmistakable thrill followed, accompanied by his shouts of "Get it out! Get it out! Get it out!" I wonder if God is watching to see if we too might pull back on the Christmas season trappings to reveal the gift He sent us, and experience all over again the hope we felt in coming to know Him. That we might shout "get it out" and put Jesus on full display so that those around us see the "great joy" that God has sent. And I wonder if when we make Him the center of our celebration, God is not looking down feeling great joy Himself that He gave to us a gift we love so much. Jesus is the gift where our hope is anchored. He is sure and true. Often, the cares of the world wrap around us, choking out the hope we have. If we believe that a second advent will occur, then we must raise high the cross. For those shopping for hope, joy, peace, or love, our lives should be a window where Jesus is the display. For we stand as testimonies, in the time between His birth and His return, to show others the only true hope for the world. Tell your children about your salvation experience. Share the gospel with a neighbor or friend. Jesus, may Christmas this year remind me how to live expecting your return, and may those around me see that You are the hope that I have in a world that so desperately needs You. In Your Name, Amen. The post is part of the linkup at Susan B. Mead. I was certain I could retrace my steps back but the more I tried, the more twisted I became. I passed fancy shops, wealthy people, then vagabonds, and desperate people. Fear gripped me, and panic rose up inside swallowing my hope. Hours had passed and by now I knew my fiancé would be wondering what had happened to me. Crying started deep in my chest and I shook uncontrollably. Then I had a thought. If I could only see the building in the right perspective, then I might be able to find my way. I walked until I was on the outer limits of the downtown and began the long trek around the circumference of this area. Finally, the buildings lined up and I found where I was supposed to be and also found my wonderful man. A few days later, I walked down the aisle and said an "I do" that has lasted twenty-five amazing years. This post is part of the 100 Happy Days Linkup and the #livefreeThursday linkup with Suzanne Eller. Week 4: Love that will not fail. How should Christ's birth compel us to live knowing He will return? We hope you will join us each week to prepare your heart as we enter into the Christmas season. Below you will find the first of a series of three on hope. February. A deep winter month for Arkansas and as much as I enjoyed the snow we received, I always looked with anticipation towards March. For February with its stiff yellow-brown grass and trees that looked like a standing pile of sticks only spoke of death. But March, yes, March had a different voice. It brought a beautiful, spring zephyr (a soft, gentle wind) that would blow across the fields whispering with the hope of renewed life. Zings of energy would pulse through me as excitement built because I knew what was coming. An explosion of green that captured the eye and had a story to tell. Every day I journeyed up the rolling hills at our home in the Ozarks. As I peeked out across the sprawling terrain, I looked with hope for the first signs of vibrant green. Haunting questions of doubt would enter my mind. Would those trees bud again? Would the grass sprout and grow? Hope bubbled up in me to meet every doubt. God can! Slowly, the vista changed daily. The trees that held not one leaf budded and grew hundreds. Grass that once was brown grew new life blanketing the hills. Day-by-day the differing hues of green were telling God's fascinating narrative of the life He brings out of what once was dead. On the side of that hill, as I stretched my arms high to praise God where only He could see, He taught me a very profound lesson. He taught me the truth of my salvation. He was the God who could awaken my dead places to sweet joyous new life. As He opened my eyes to His creation, He opened my heart to the possibilities of His redeeming power. Because Jesus was and is and is to come He can use me in spite of my past mistakes. He can cover me just as the grass blanketed the earth. I do not have to live in a spiritually dead February. My life can speak of a zephyr of Christ that is the hope of abundant life. Do you doubt that God can use you in spite of your past? Ask God to show you how He is making you new and how He wants to use you as a story of His great power to save. We praise You Lord for Your salvation. Thank You that when we wait on You, You reveal to us who You are. Open our eyes to the possibilities of Your great plan for us and how we can be a story that speaks to those around us of new life. Prepare our hearts as we look to the birth of Jesus and remind us of the significance of this event. In Jesus name, Amen. This post is part of the "What Joy Is Mine - Monday Musings" Linkup and #RaRa Linkup at Purposeful Faith.